Gas Racing is at the forefront of turbocharging technology. 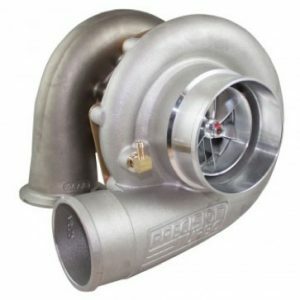 OUR BEST PRICE POLICY: Call Gas Racing on +61296043643 for the best price on Precision Turbochargers. As the Authorised Australian Dealer with decades of turbocharger experience – why shop anywhere else? Gas Racing director Joe Signorelli has been at the forefront of turbocharging performance for over 25 years. Industry and race experience have grown his extensive knowledge in this area. Technical advice, goal setting and performance execution is guaranteed from the team and Gas Racing and your turbocharger purchase is backed by our expertise in this area. As the sole Australian Authorised Dealer for Precision Turbo and Engine we offer the complete range of turbochargers available by PTE. From entry level 500hp turbochargers to extreme race 2000hp+ turbochargers – we have you covered. We carry extensive in-house stock backed by the manufacturers 12 month warranty and our best price policy delivered to your door ensures your investment is well protected. On offer here at Gas Racing is a smorgasboard of turbocharging options. We have simplified the process by offering our clients one of many horsepower turbo kits to boost your ride. Street / Strip / Circuit / Marine – our options will deliver or we will customise a package to suit every unique expectation. Gas Racing also has a range of turbocharging accessories including wastegates, blow off valves and boost controllers. Gas Racing’s turbo kits come with a ‘best price policy’. From mild to wild, our tried and tested combinations for the JZ Supra / RB30 GTR / SR20 / Ford BA-FG are proven and execute the desired power figures. Our kits are developed using the latest in GEN2 Technology by Precision Turbo and Engine. We won’t sell you GEN1 when GEN2 is available! Each kit includes a GEN2 PTE Turbocharger, custom 6 Boost Manifold, Precision 46mm Wastegate and Precision VBand Kit. The kit is customised to suit individual applications from T3 to T4 flange, VBand, high mount, low mount, single entry and split pulse options. The choice of manifold for our kits includes the 6-Boost Manifold range available for 1JZ, 2JZ, SR20, RB20, RB25, RB26, RB30 and BA-FG Falcon. Not limited to these listed, Gas Racing aligns themselves with industry’s best to ensure the highest quality on all performance parts listed or custom ordered if required.